Posted on 3rd April 2019 at 8:51 am. We’re always looking to support local charities as much as we can. 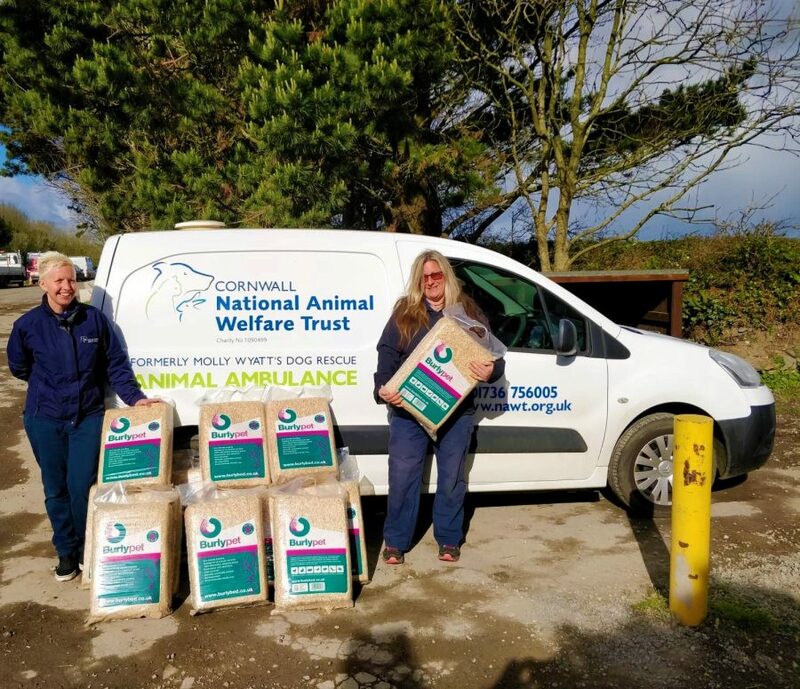 It was great to see National Animal Welfare Trust Cornwall this morning collecting fifteen bags of Burlybed Pet Bedding which we happily donated free of charge to this very worthy cause.